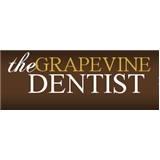 The Grapevine Dentist (Grapevine) - Book Appointment Online! You're in for a great experience at our office thanks to a quality team that takes personal interest in you and your dental health goals. We hope you will always find lots of smiles and plenty of listening ears in our office every time you call or come in. We're here to help you and make your dental experience comfortable and worthwhile. He was obviously a shy personality, and sweet demeanor. The office didn't lecture me about not flossing, and were kind in their care. I actually ended up needed a filing, and they were able to fit me in immediately after my cleaning.